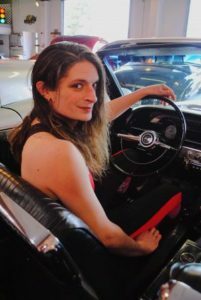 Beyond Thunderdame is September’s recipient of the Gold Star Volunteer Award for Rose City Rollers. This award is well-timed, as Dame celebrates one year with Rose City this month. Since arriving in Portland, she has thrown herself head first into all aspects of the league, including coaching. Volunteering isn’t just a thing she feels obligated to do, she believes that it is the heart of why this community thrives so well. RCR: Is there anything RCR could do better for its volunteers? Dame: I think the number and passion of our volunteers is a testament to what people feel like they get from being a part of this league and community. I hope we do enough to show appreciation for all our amazing volunteers, because they really are what makes this league unique. The incredible support allows our competitive team to focus on the sport while knowing the league is running smoothly, and I really hope every single volunteers feels like they play an invaluable part in our having a world championship winning team. RCR: What has being a RCR volunteer meant to you? Dame: Being a volunteer to me has meant having a chance to give back to the community, and to pay forward all the amazing all the amazing help and support getting to where I am today. We all started somewhere, and I came to a small league in New Orleans without knowing how to skate. I wouldn’t be here without the help and support of wonderful skaters who took me under their wings and taught me the basics. I have found so much joy in playing roller derby, not just in the sport itself, but in the amazing community of people that are brought together by it. If I can play some small part in helping someone else feel confident on their skates and in themselves, in helping them feel like they belong, then hopefully I’ll pay forward the support and love I’ve found in roller derby.  Dame: I hope everyone realizes how special and unique Rose City Rollers is, even in a world of great roller derby leagues. RCR is like no other community I have ever been a part of, and we are so lucky to belong to this amazing space we all create TOGETHER, day after day. I hope my love of this league shows, on and off the track, and I’m so happy to be able to contribute to the best roller derby league in the world!